No one has added a helpful site for this 2012 RAV4 problem yet. Be the first! 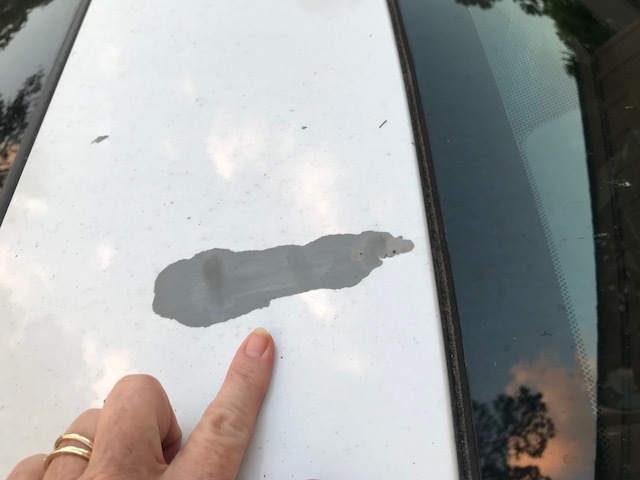 Paint coming off the entire top of the car from front windshield to rear window. Toyota Greenville delayed me for 2 months on repeated calls to remedy or at least get answer from Toyota or someone on the problem and fix. 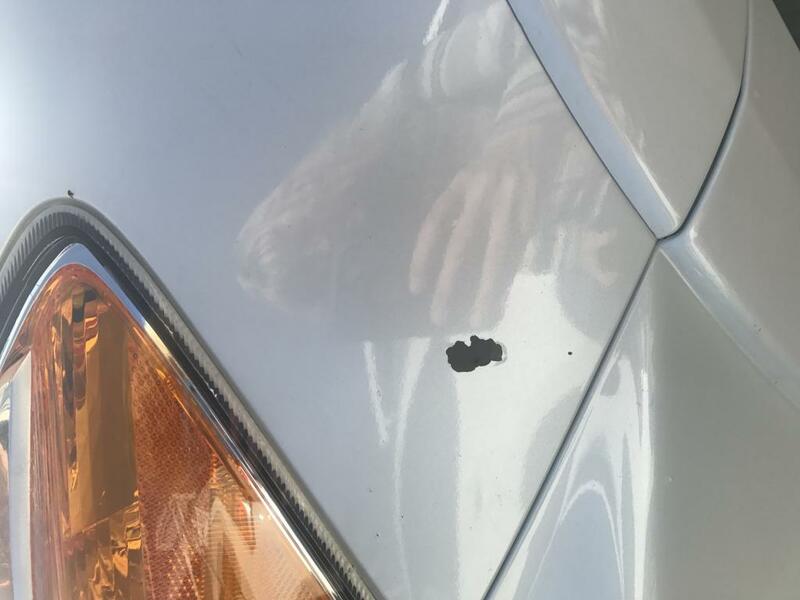 Ultimately they said Toyota would give me a 1 time goodwill reimbursement for $1000, but then the dealership told me the paint repair was $4000! I walked away and had 2 other quotes already from independent dealerships in the area for repairs in the $800 range. Toyota Greenville are crooks for these type statements and business. This was from the maintenance manager, only after repeatedly calling his staff for responses. I have since even validate the quotes by getting others through other Toyota dealerships. Anyway, long story short Toyota continues to tell me it is no longer under warranty and will not reimburse. 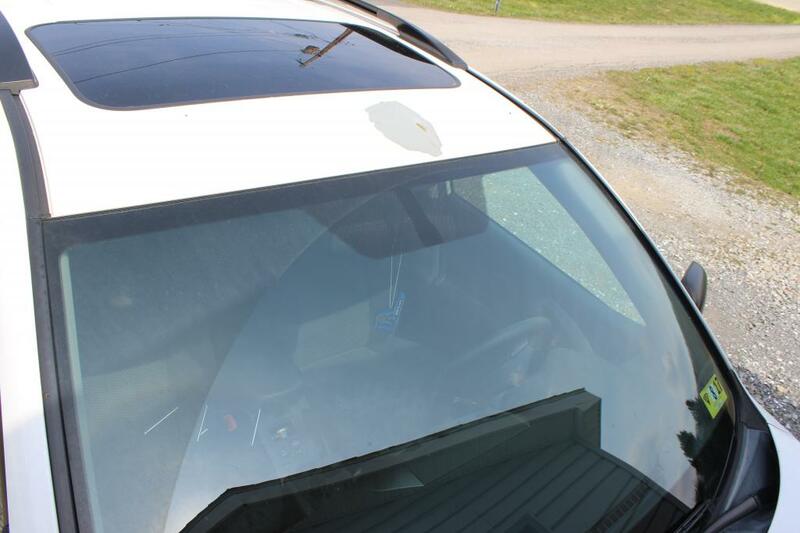 I have also seen at least 2 other white RAV4 in my area with the EXACT roof paint problems. Why most on the roof of these vehicles I have no idea. Any help or insight would be helpful. PURCHASED 2012 RAV4 NEW. 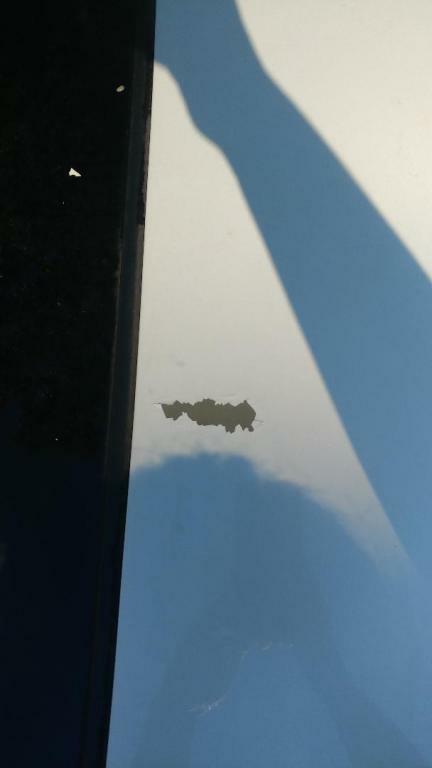 DISCOVERED PAINT PEELING OFF ROOF IN SHEETS IN TWO SPOTS (MAY GET MORE). CALLED DEALER WHERE PURCHASED. NO HELP WARRANTY OVER, ASKED IF WE WANTED TO HAVE THEIR BODY SHOP FIX THE PROBLEM AT OUR EXPENSE. THEY HAVE A GOOD DEAL GOING. CALLED TOYOTA AND TOLD THEY HAVE NO RECALLS ETC. TOYOTA WAS A GREAT VEHICLE AT ONE TIME, BUT THEY NO LONGER BACK UP THEIR WORK. WE HAVE PURCHASED A TACOMA, A HIGHLANDER AND A RAV4 IN THE PAST. YOU WOULD THINK THAT DEALERS WOULD AT LEAST TRY TO HELP LOYAL CUSTOMERS OF OVER 15 YEARS AND THAT THE MANUFACTURER WOULD STAND BEHIND THEIR PRODUCT!!!!!! This is a 2012 pearl white RAV 4 , the 3rd RAV4 I've owned. Except for low gas mileage in my first RAV 4 I've had no significant problems this these vehicles and have been quite pleased with them. UNTIL NOW!! 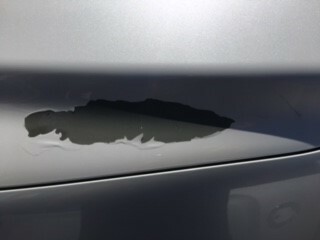 About 3-4 months ago the paint started peeling on the gas tank door and on the drivers side rocker panel. I painted these areas with some nail polish that was as close a match as I could find (pearl white) There were repairs made to the passenger side door due to a deer accident, so new paint was applied there. 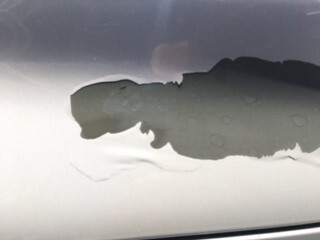 This peeling has only gotten worse with more paint peeling off in sheets on the gas tank door and drivers side front door. Today I found 2 very large size patches of paint (about a foot wide) peeling off the roof . I had taken it to a local Toyota dealer about 2 months ago and he explained Toyota will not do anything about it. I live in northwestern Pennsylvania where we have lots of snow, ice and they salt the roads with a salt mix to prevent damage. There is no rust under these areas but with no paint on them I'm afraid it will start rusting. If Toyota will not honor quality for its products I'm afraid this will be my last Toyota purchase. I had family members interested in trading their vehicles and now will tell them about this problem. I'm sure they will not be interested in Toyota's either. I love my car and as thinking of upgrading to a Toyota 2019! With this issue of the paint peeling from window to sunroof and gas door I will no longer be dealing with Toyota unless this is rectified by Toyota!! I've seen several Rav4s with this issue which is nationwide and Toyota refuses to repaint! 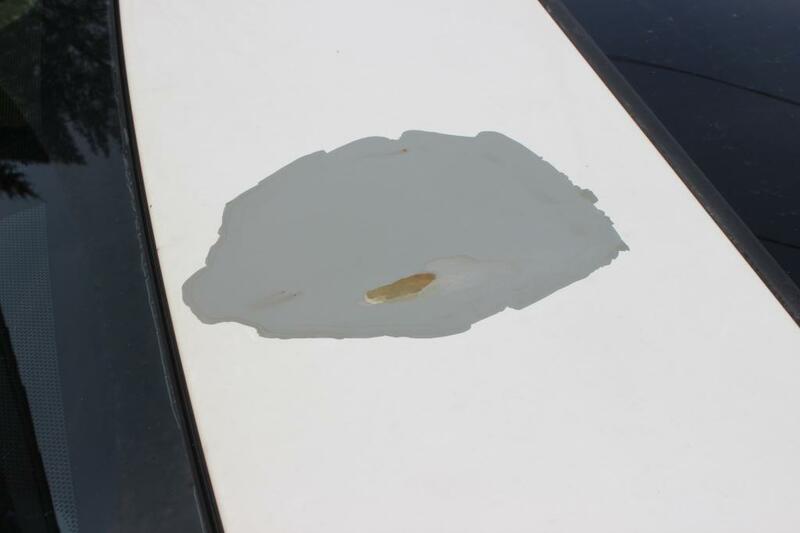 This is a paint issue that has been told by several of your collision tech's! So tell me how could you just leave this without helping a loyal customer? This is unfair and we take car of our cars with gloves then have this happen and TOYOTA do nothing about it!! Stand up for your Name and take care of this issue from hard working people!!! 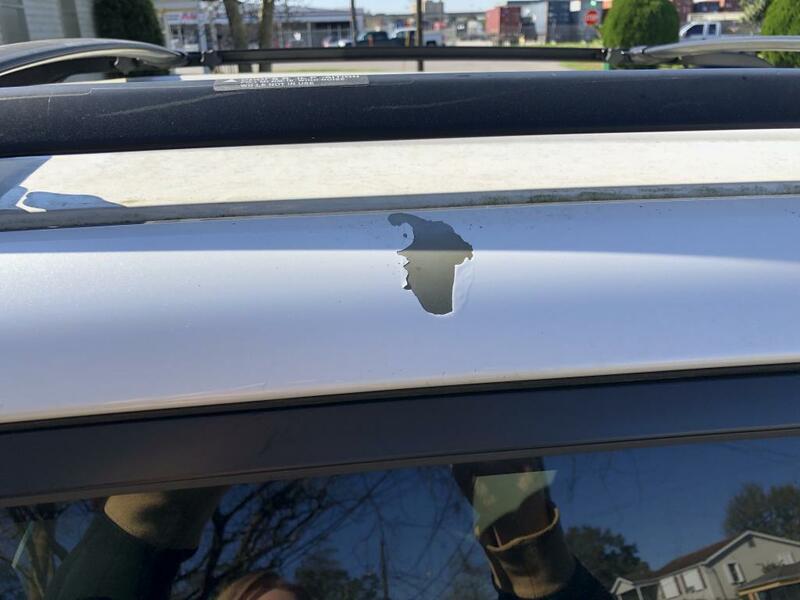 Paint peeled off the roof in one large jagged piece. Bought the car new. Always kept the vehicle clean and waxed. Let me start by saying that I have been a loyal, as I think many of us on here are, Toyota owner since 1980's when I purchased my first truck and I drove that truck over 100,000 plus miles. I then purchased my first 2002 Rav 4 Sport, I drove that for 10 years and then purchased my recent 2012, Rav 4 Limited. I have taken very good care of all my Toyotas and they were/are very excellent cars up until now when my peeling paint problem started. Here in detail is my complaint and after reading numerous postings, I see that I'm not alone. My arctic, pearl, white Rav 4 Limited model SUV which I love dearly, is having another peeling paint problem. 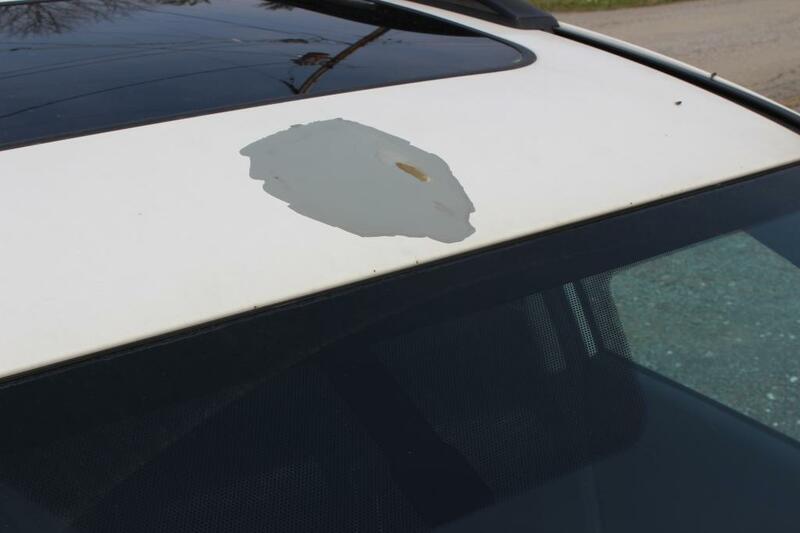 Yes, I have had the same paint problem in 2016, the top of my car near the sun roof started peeling. Fast forward to 2018 and I'm having the same problem again except this time it is in multiple places, the side panels, around the windows, near the gas tank, the front fenders and lastly, the top once again. 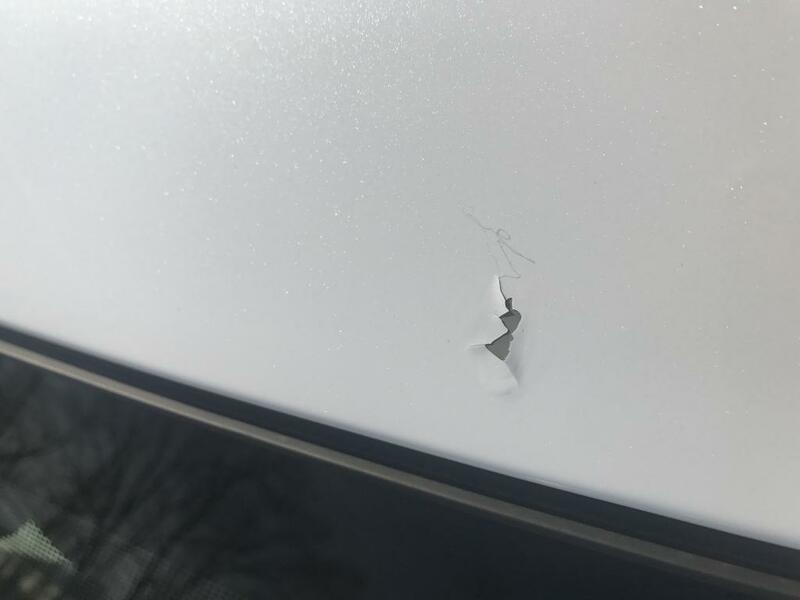 (See attached pictures) In 2016, Toyota paid to have the top of my car painted and knowing Toyota's reputation I never thought that they wouldn't because at the time customer satisfaction was key. The repair shop even admitted that it was faulty paint and they had seen numerous Toyotas with the same problem. 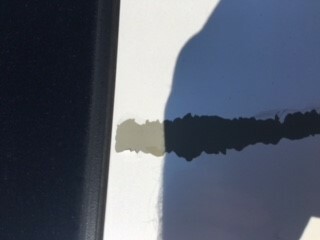 Now, approximately two years later after growing tired of looking at the progressively getting worse paint problem, I decided to take my car into my dealership (Ray Brandt Toyota) to have it looked at. The service department representative came out and took pictures of my car and then sent me over to their collision shop where I would get an estimate of what it would cost to have it fixed and since Toyota paid to repaint the top of my car in 2016 and knowing the excellent reputation of the company, I knew that I would be hearing back from them soon letting me know when I could bring it in to be painted. Unfortunately this was NOT the case. They denied my claim. When I asked Ray Brandt why, I was told that maybe it was because I made a claim before. This is unacceptable!! Especially when you read on the internet and on this site that it's not just a few people with the same complaint but that there are many of us out there that are going through the same thing. Also, when you have numerous people who have been told by professionals that it is FAULTY paint then Toyota needs to step up and do the right thing and make it right. 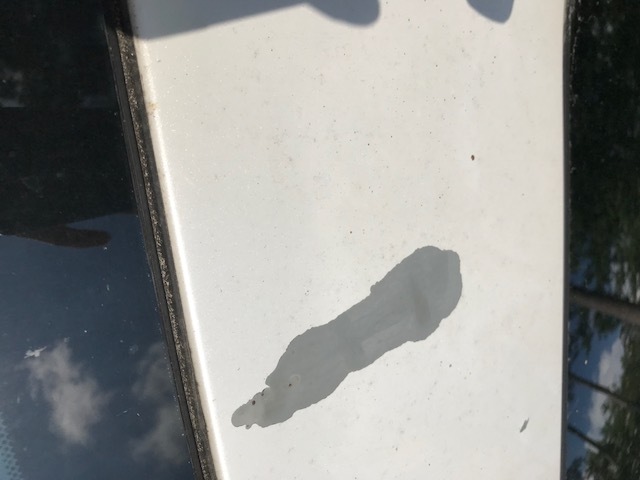 The paint just started peeling off of my Rav4 this month. 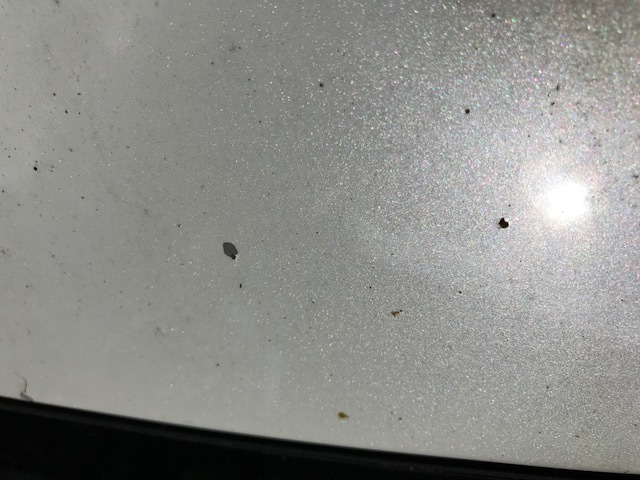 It is peeling in two areas on my roof in between my windshield and my sunroof. Upon searching the internet I have found this to be a problem widespread. This is obviously a manufacture defect in the painting process. I have also started looking while I am out and about in town and am seeing others vehicles identical to mine that is having the same issue. Some much worse. I am sure at this point mine will continue to peel and just spread. This is frustrating as we just paid this car about a year ago and I have treated it with kid gloves so as not to need to buy another for a while. It looks new other than this issue. I will probably switch to Honda in the future. No one with this issue seems to be getting anywhere with toyota. Its a shame because I was a Loyal toyota consumer. Not anymore. 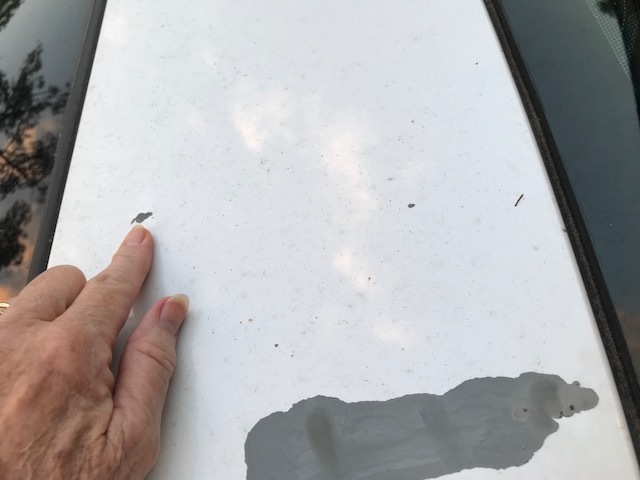 Paint on the top of my 2012 Rav4 is just chipping away! I didn't find out that this is a common issue for Rav4s until last year! I spoke to Toyota on April 4, 2017 about the paint issues. This is an issue with many 2012 Toyota Rav 4's and other Toyota autos. 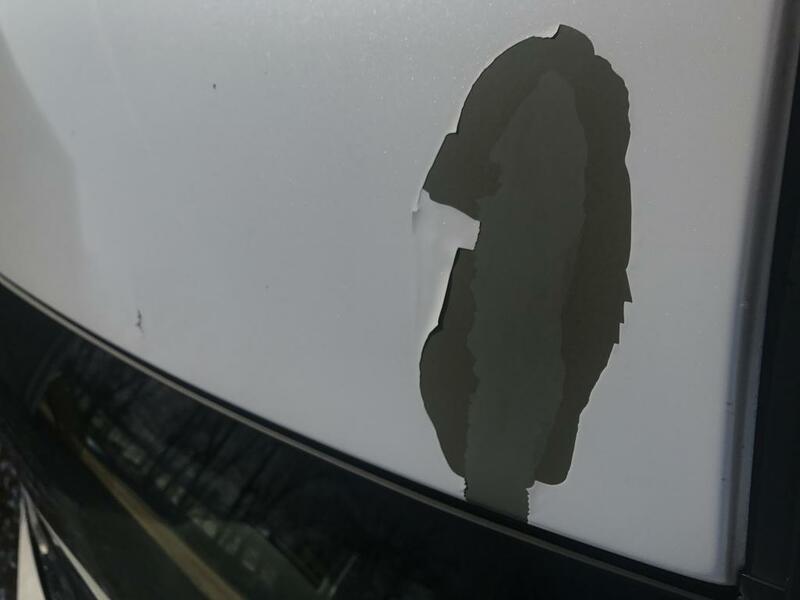 Toyota refuses to accept responsibility for defective paint after 36,000 miles or 3 years. This is without a doubt a failure of the paint system and a factory defect and they should accept responsibility and make necessary repairs. NEVER BUY A TOYOTA PRODUCT! TOYOTA DOES NOT STAND BEHIND THEIR PRODUCTS! POOR SERVICE AFTER THE SALE! I tried contacting Toyota. 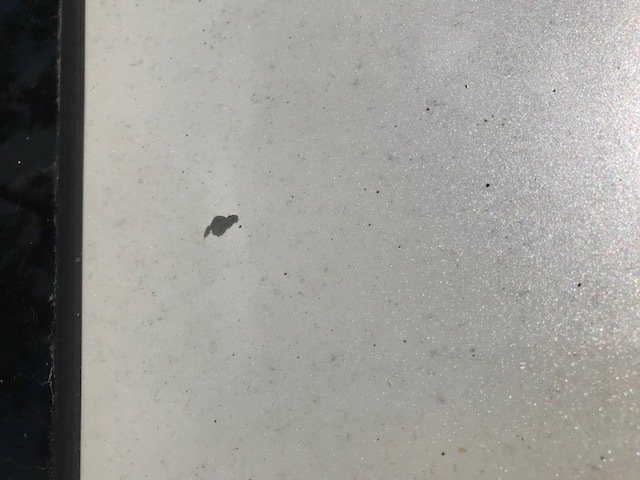 They opened a "case" I have been to 3 auto body places and they ALL tell me that the paint is coming off due to a manufacturing flaw. They say that the paint did not adhere to the primer. It's peeling off my car and this was a color I paint extra for!!! I planned on having this car a really long time. I take good care of my car. I am so disappointed in Toyota. I took the Rav4 to a shop which I knew to be an authorized Toyota repair shop. The proprietor affirmed that he does a lot of work for the Toyota dealership, DAN CAVA TOYOTA, IN FAIRMONT, WV, where I purchased the Rav4. 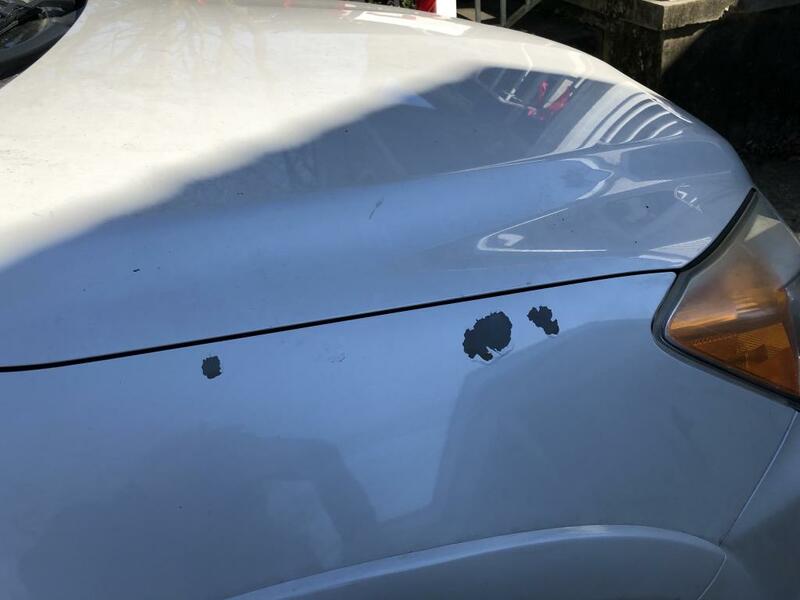 His determination was that the paint peeling was a result of "delamination," which he described as an issue that occurs when the primer fails to adhere to metal due to improper application. He clearly indicated that this is a manufacturer defect, of which Toyota is aware. Then I notified Toyota. They issued me a case number and then instructed me to take the Rav4 to a Toyota dealership with a service department, which I did. I was told by the service rep. that Toyota corp. had requested photos of the damage. They took their pictures. THE END. I NEVER HEARD BACK! REAL PROFESSIONAL! Now it's been 8 months and I have filed a request regarding the disposition of my case. I also requested a copy of all related material. Wednesday, I have an appointment to have work done to correct two other recalls. I hope someone at DAN CAVA TOYOTA OF FAIRMONT, WV, can tell me something. 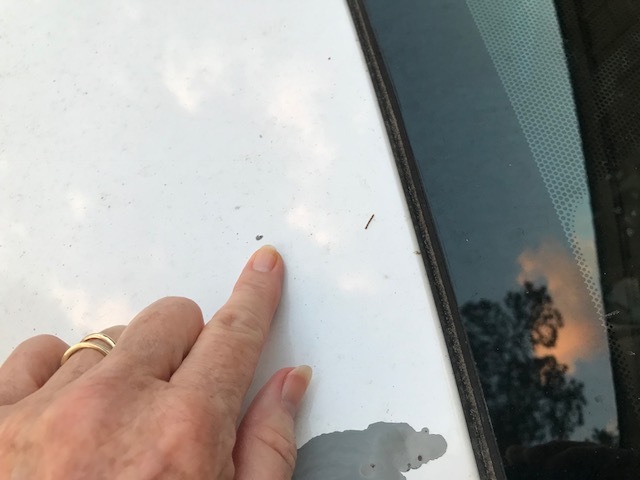 Paint peeling off in three strips on roof of car between windshield and sun roof. Have seen several posts from others having the same problem. When I bought this car I asked about the paint, Super White, I didn't like the pearl effect. The salesperson, Terry told me it was the best paint and would resist chips,cracks and wear. I told him I had a second home in the mountains and there was snow, ice, road sand and tree sap. He said it was super paint. 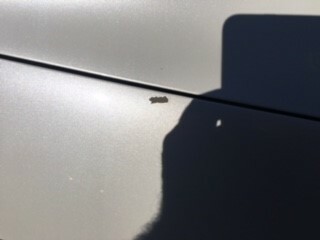 I took it to the mountains and tree sap landed on the front right part of the hood.l took a soft cloth and a little soapy water,I removed the sap and the first layer of paint,the pearl came off too.Took it to the dealership and they said they couldn't help me and would call the rep and let me know when he comes into town. I have had 3 cars up at my cabin, 2005 Honda, 1999 Mercedes also white, and Ford Winstar also white. 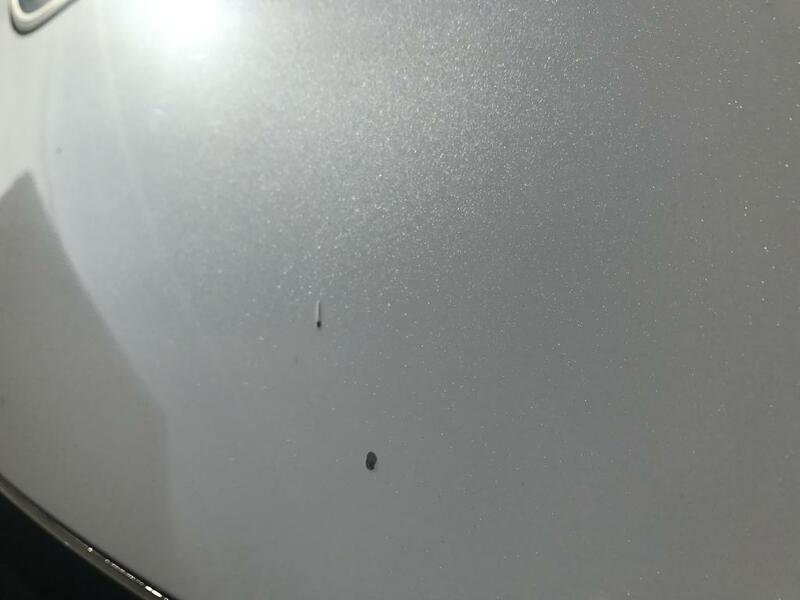 Sap residue on all of the cars, cleaned the same way without any paint loss.